The Italian region of Lombardy, in the northwest of Italy, is much different from the rest of the country in its sights, customs, and cuisine. The most prosperous region of Italy, it also has a better travel infrastructure, which allows you to cover more ground faster, more comfortably, and with less inconvenience. The same is true of its capital Milan. Spend a day or two here, and you’ll find a city that’s clean and easy to get around. It’s Italy’s sophisticated capital of fashion, and it’s unfortunate more travelers don’t visit it. Conversely, that just gives the rest of us a better view of its life and culture. If you’re going to Milan for only a day or two, just concentrate on the top sights, all of which are easy to visit. Three favorite places—Milan’s Duomo, Galleria Vittorio Emanuele II, and La Scala—for example, are all adjacent to one another. 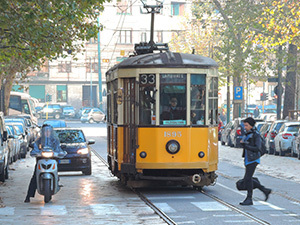 Then you can take advantage of a worthwhile day trip from Milan, or, perhaps, two. 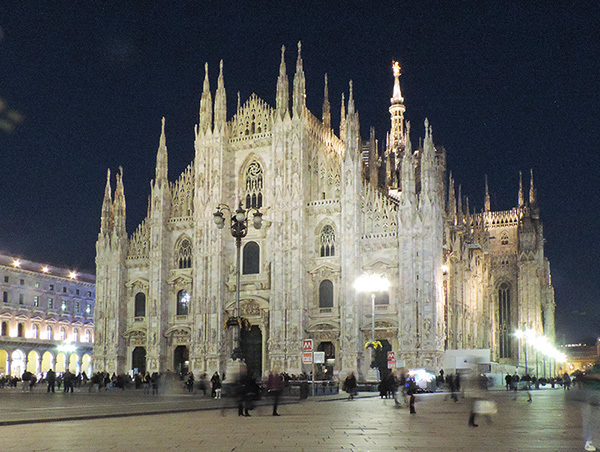 One of the most popular things to do in Milan is to visit one of the largest churches in the world, Milan’s Duomo. Also known as St. Mary of the Nativity, it took 500 years to build, one of the reasons its façade incorporates Gothic, Renaissance, and Neoclassical styles. It’s best known for its incredible roof that is covered with spires, gargoyles, and statues, all of which give it an incredibly ornate appearance from the huge piazza in front of it. Wander inside, and you’ll find beautiful stained glass windows that illuminate a vast interior with 52 pillars and many tombs and statues. To the left of the Duomo is another of the city’s treasures, the Galleria Vittorio Emanuele II. 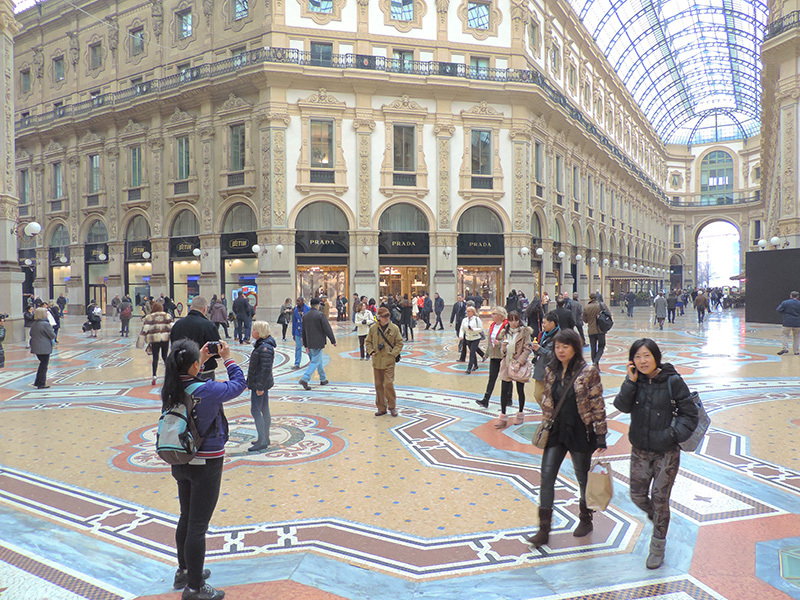 Also known as Il Salorro di Milano, it’s an ornate 19th-century shopping arcade with ornate mosaic floors. Home to the shops of many of the world’s renowned fashion brands, the Galleria is set in the shape of a Latin cross with the different sections representing Europe, America, Asia, and Africa. The massive building is crowned with a magnificent glass roof and dome. Interspersed with Prada, Armani and other crème de la crème of fashion are numerous restaurants including the famous and historical Savini. It’s unlike anything you’re likely ever to have seen before. 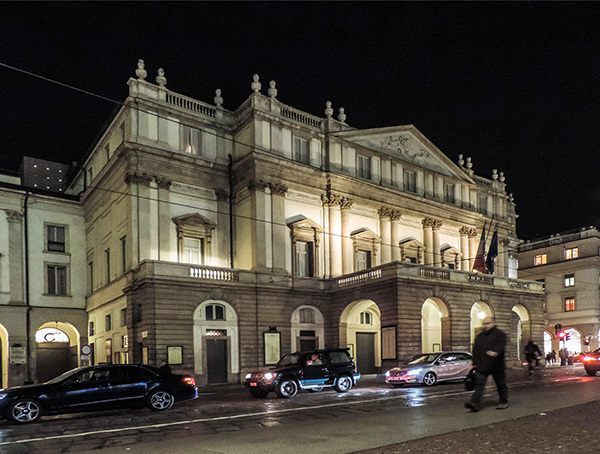 From the Galleria, you’re only a short walk from the Teatro alla Scala, one of most prestigious opera houses in the world. The beautiful 18th-century Neoclassical theater also has one of the most significant stages in Europe. If you’re an opera buff and want to catch a performance while sticking to a budget, you can try to snag one of the 140 discounted tickets that go on sale two hours before most performances. If you’re hungry at this point head over to Peck, the legendary Italian foods store only a few minute’s walk off the piazza in front of the Duomo. 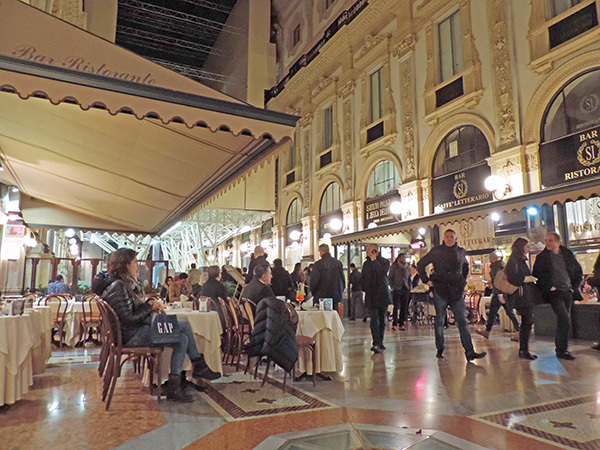 A top spot for Italian gourmands and Milan’s answer to the food halls of Fortnum & Mason and Harrods in London, it has a renowned Deli and three restaurants. 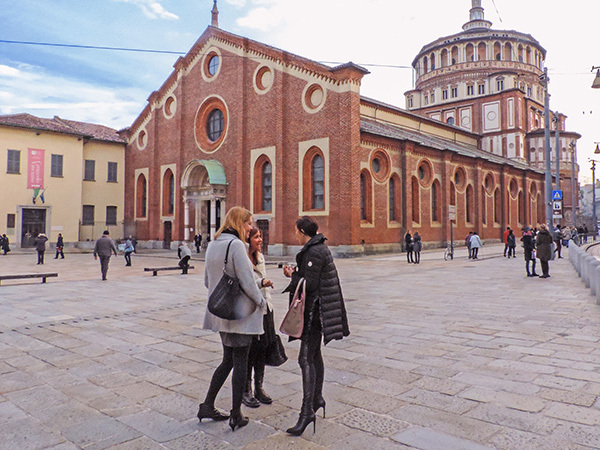 A 20-minute taxi ride will bring you to Santa Maria delle Grazie, the 15th-century convent whose treasure is Leonardo da Vinci’s Last Supper, painted on its dining-room wall. Since the painting is tempera painted on drywall and not a fresco, it has deteriorated badly over the years despite attempts at restoration. You need to make a reservation and buy tickets in advance for the 15-minute tour, which you’ll often have to purchase through tour companies that buy up blocks of tickets and charge you a surcharge. Or you can do as I did, and arrive at the convent when the ticket office opens at 8:30am and hope for the best. I was able to buy a ticket for the 9:30 tour and spent a pleasant hour at Caffé Le Grazie, a delightful coffee shop across the street. You’ll also discover art in Milan. The city’s best collection is in Pinacoteca di Brera where the Accademia di Belle Art was founded in the 18th century. Here you can enjoy a diverse collection that includes works by Modigliani, Canova, Montegna, Bellini, Raphael, Tintoretto and others, all spread through 38 small galleries. Time your visit for mid-morning and stay in the neighborhood to lunch at one of the small restaurants in the area. I had a delicious lunch of pasta and wine for €18 at La Taverna del Borgo Antico at Via Madonnina, 27. Afterward, head for the “Fashion Quadrilateral” so-named because it’s a small four-square-block area within the borders of Via Manzoni, Via Montenapoleone, Via della Spiga and Via Sant’ Andrea. 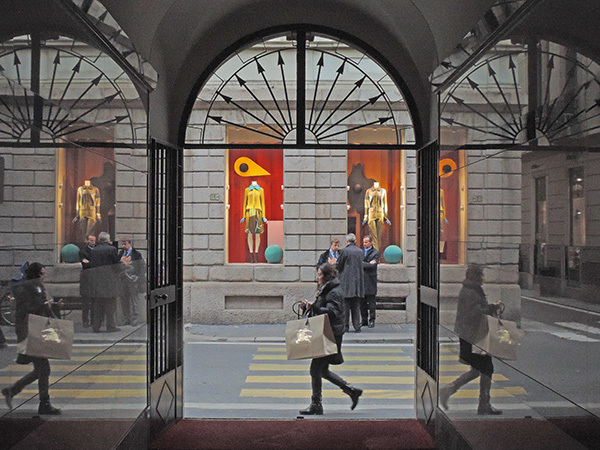 There you’ll see most of the Italian flagship stores of the kings and queens of world fashion. It will only take about an hour to walk about the entire area unless you plan to give your credit cards a heavy workout. There are two excellent day trips you can take from Milan. One is to Como, the town and lake of the same name, a comfortable 30-minute train ride to the north. There you can wander about the city and up to Brunate, the village above, or take a ferry to visit charming Bellagio and other lakeside villages. You’d be better off instead, however, taking a day trip to beautiful Cinque Terre to the south, to visit the tiny towns clinging to the rocky cliffs along the coast. This area of the Ligurian coast, which stretches westward from Italy’s “boot” to Monaco and France, has exceptionally dramatic and wild scenery. The reason Cinque Terre, one of the top 10 places in Italy, is a better option on a short visit to Milan is because you can see Como anytime, say while on a train on your way to Switzerland or just while passing through Milan en route elsewhere in Europe. 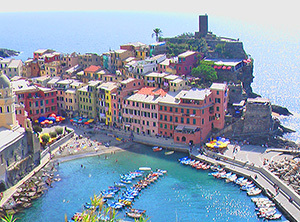 On the other hand, it can be better to see the famous Cinque Terre with a guide since it’s five separate towns scattered along a rugged coastline. Besides, it can be a pain to get to if you’re unfamiliar with the territory; let a guide handle the logistics so you can appreciate the scenery. 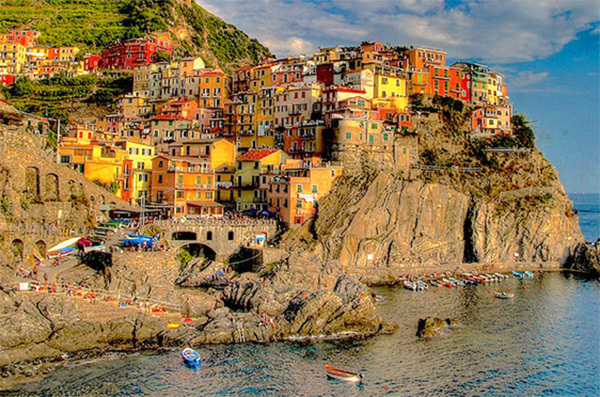 Cinque Terre, is a UNESCO World Heritage site, part of a 15-square-mile National Park. Its clutch of villages is surrounded by hills covered with vineyards and lemon groves. 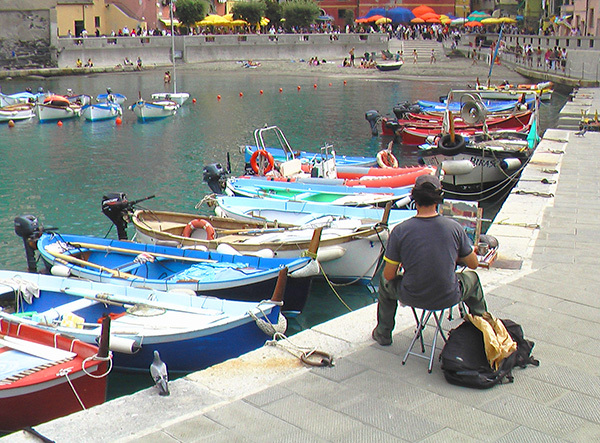 Unlike Milan, Cinque Terre doesn’t attract travelers with museums and galleries. What draws the crowds are its colorful villages and spectacular seascapes. The region’s 75+ miles of coastal hiking trails also entices many hikers. Four of its five villages – Riomaggiore, Vernazza, Monterosso, and Manarola, the oldest – are shoehorned into the rocky coast beneath terraced vineyards; Corniglia, further up the hillside, is landlocked. The 19th-century railway that runs along the coast links them all. One of the popular ways to get from Milan to Cinque Terre is with a tour company such as Ciao Florence (so named since they also run tours from Florence to Cinque Terre). Their tour includes a boat trip along the coast providing spectacular views of the towns from the sea, something most visitors never get to see. Duomo church is one of the finest place to visit in Milan. Milan is a city of dreams! I want to go to this place! I went to Milan for the first time last August and loved it. Not only the main sights but places like Brera – where the young artists seemed to accumulate – and the new city with its incredible new structures, as well as Navigli where the city seems to head in the evening for aperitivi and dinner. Heading back in September!